I am a little bit skeptical about G2 Crowd data. They rely on vendors to reach out to their users for those survey results. For example, G2 Crowd work with a marketing automation vendor and the vendor sends out an email to their users to encourage them to participate in that survey. My assumption is that, the vendors are being very picky about to whom they reach out to. I believe they reach to users who they think will give them a great feedback. In the meantime it is easier for G2 Crowd to reach out to users' of more mature products like CRM or e-Commerce by their selves(not through vendors). This is mainly because their market penetration is a lot higher than market automation and there are more users out there using these tools. 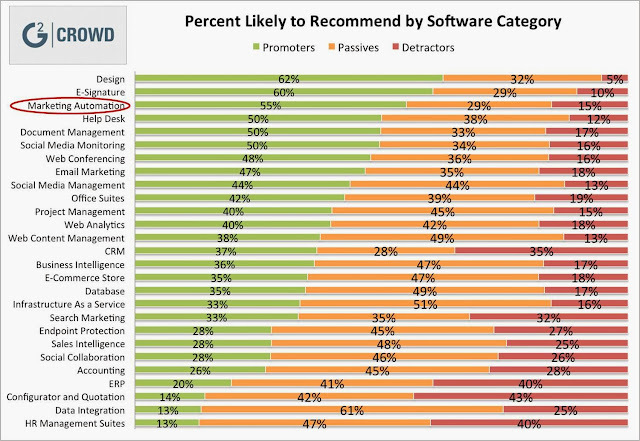 Thus the NPS scores for more mature products are more realistic than marketing automation scores. Of course this is all speculation but this is how I interpret G2 Crowd's data. These results seem odd to me. I don't feel like "content marketing" and "marketing automation" belong in the same list of things. MA is inward-focused, creating systems and processes. Content marketing is outward-facing, creating awareness, branding, and leads. My feeling on this is that both are an absolute requirement for all marketing departments, and marketing automation is a pre-requisite before running effective content marketing. But that is not to say that it is *more important*. It is just *what you should do first*. 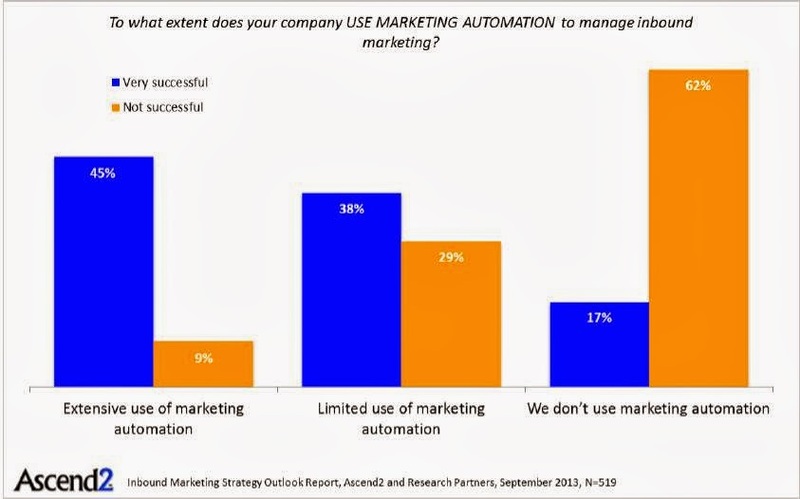 Marketing automation without content marketing is...well, a little silly. But content marketing without marketing automation is a total cluster****. Thanks for the comments, Anil and Tristan. 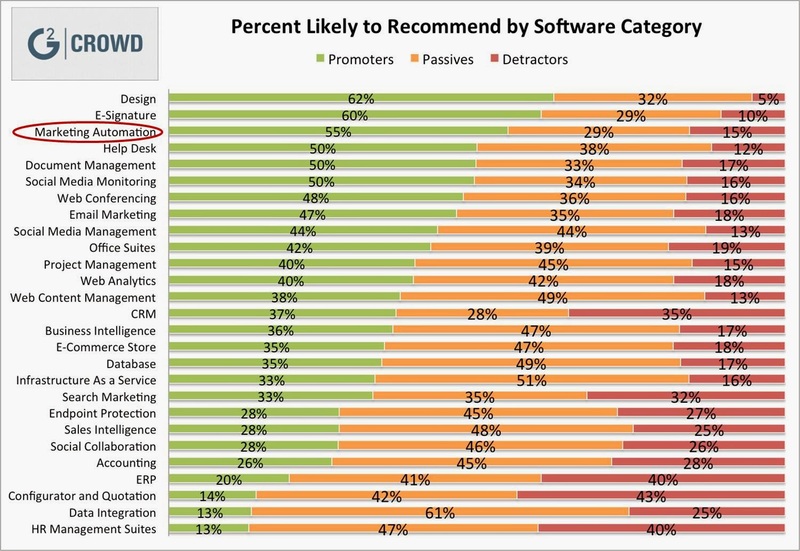 Regarding the validity of G2's data, there are always issues with sample selection in these surveys, but you may be right that there is a bigger problem with products that have smaller installed bases, either because of vendor-driven audiences or perhaps just because the early adopters are inherently more enthusiastic. Tristan, I'm still struggling with how to distinguish "content marketing" from marketing in general, since both aim at "creating awareness, branding, and leads". I personally tend to equate marketing automation with lead nurture campaigns, but perhaps you're right that it's actually more about systems and processes than campaigns. Definitions are the hardest part of working with surveys, since you never really know what definitions the respondents have in mind. As Donald Rumsfeld didn't quite say, you analyze the surveys you have. David, thanks for an insightful post and stirring up good conversation. Anil, I appreciate your comments and concerns about G2 Crowd. We are doing a significant amount of in-house community building both online via social networks, as well as at big industry events, to encourage the broadest range of input possible. We use this same process for every category. Additionally, some vendors are encouraging their customers to share reviews, but they are reaching out to all their customers. For example HubSpot had a booth at their Inbound conference encouraging all customers to share reviews on both G2 Crowd and the AppExchange. As our G2 Crowd sites gains mind-share we believe it will become an outlet for both happy and upset customers to share their experiences. We believe in the premises defined so well by James Surowiecki in the "Wisdom of Crowds" where more input from a broader crowd leads to the better insights than any one person can provide. It's worth pointing out that the Ascend data asked people about INBOUND marketing effectiveness. That's why things like content stand out at as top performing. If you look at the entire demand process, the story may be different. 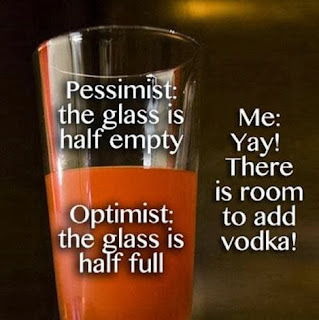 Personally, I don't think it's right to generalize the inbound marketing results. Hi Jon. It's possible the answers would be different if the question had not been about inbound, but I suspect people don't generally make such fine distinctions when responding to these sorts of surveys. 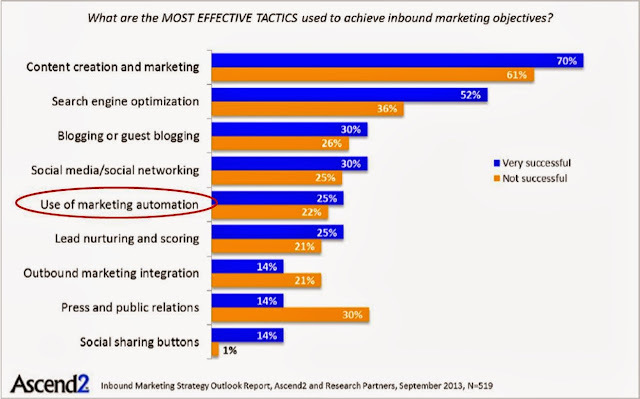 For example, the group actually rated lead nurturing and scoring as more effective than marketing automation, even though I see nurturing and scoring as even less related to content marketing (i.e., acquisition) than marketing automation. On the other hand, the survey itself was about inbound marketing, so there's a pretty good chance that the people who responded were content marketing enthusiasts, which would help explain why they rated content marketing so highly. Of course, the larger point of the series of posts is that there are many surveys giving similar answers. Thanks for blogging about this study. 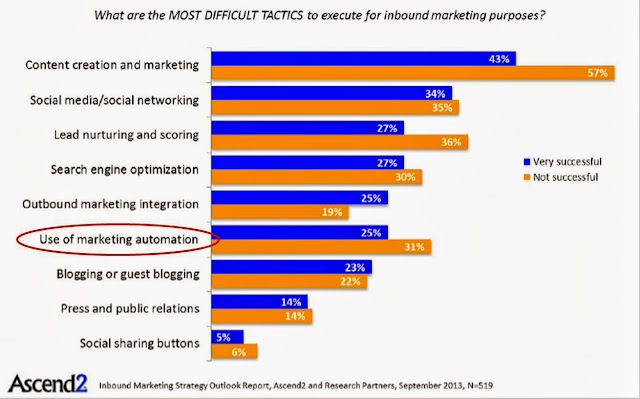 I noticed some uncertainty in the comments about whether content marketing and marketing automation belong in the same category. I believe every company investing in marketing automation must have strong content marketing processes under control before even thinking of investing in marketing automation. To me content is the fuel that makes the marketing automation engine run. The same thing for social media marketing: that doesn't work without strong content. 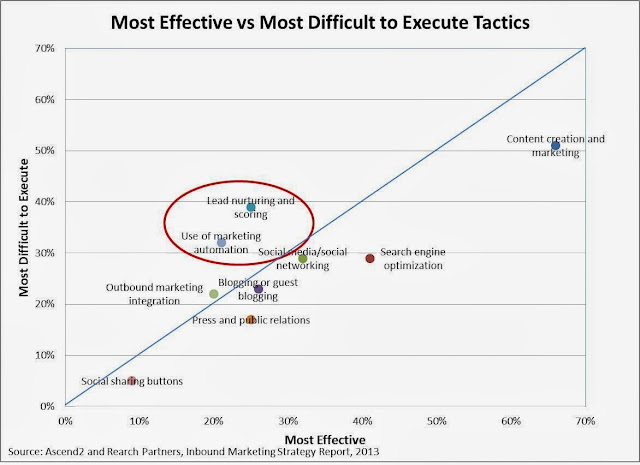 That's why I believe content marketing has to be in this list. About the study: if it is indeed the case that people interested in content marketing or inbound marketing responded the most, in that case someone should make a broader survey to include other priorities of decision makers that do not have content marketing as their top priority.